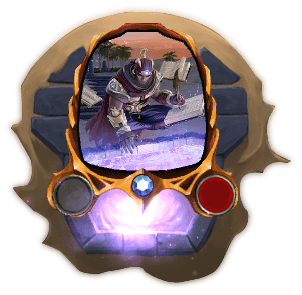 Every month, as part of each new unfolding chapter of Eternal, we’ll be bringing you a new Hero in the form of a new promo card and premium avatar. 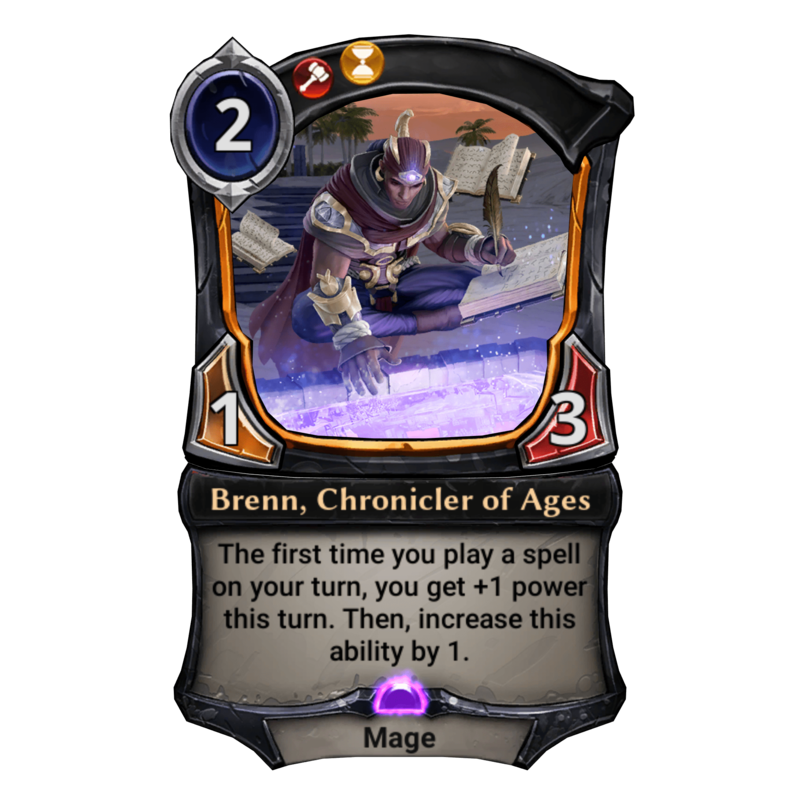 Here’s our first: Brenn, Chronicler of Ages! Interesting: the Clans withdraw. The city gates have held… but for how long? Argenport remains adrift. One Queen beyond the walls, and none within. The suffering has been great: First sickness, then abeyance, rebellion, and now siege. Are these the death throes of this city’s age, I wonder? Or are they the birth pangs of the age to come? Far from the Siege of Argenport, nestled deep among the shifting dunes of the Praxis Arcanum, a stone pool sits in a sandy courtyard. The pool’s water is clear, cool, and sweet – a welcome respite from the burning desert beyond. Students and travelers pause there to drink before returning to their lessons or departing on their journeys, never guessing that their parched lips had touched the very fabric of reality. Before the pool, at the water’s edge: A young man surrounded by books and the worn-down nibs of quills. He stares into the shallow water, writing furiously, eyes never leaving the pool as his ink-spattered hands fly across the pages. This is Brenn who, rumored mad and “sun touched” by the desert’s heat, peers unblinking into the empty water as if great secrets are held within. A figure of curiosity even by the eccentric standards of the Praxis mages, Brenn’s unique status at the Arcanum arose from the peculiar indulgence shown him by the Arch-Magister Talir. But Talir has gone, transformed by magic and her own hubris, her staff of office as-yet unclaimed. The Brenn, Chronicler of Ages promo quest begins today and will run until Wednesday, April 25. 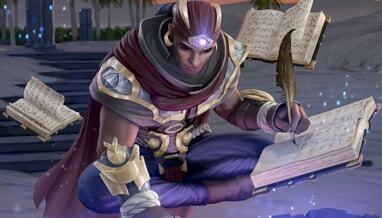 During the quest period, your first PvP win of the day will reward you with a copy of Brenn, Chronicler of Ages. Once the promo period is over, you’ll be able to craft Brenn using Shiftstone as normal. The Brenn premium Avatar will be available in the store for 300 Gems for a limited time. Brenn has glimpsed your future, and has foreseen you earning some new promo cards! We’ll see you in the game on Steam, iOS or Android!